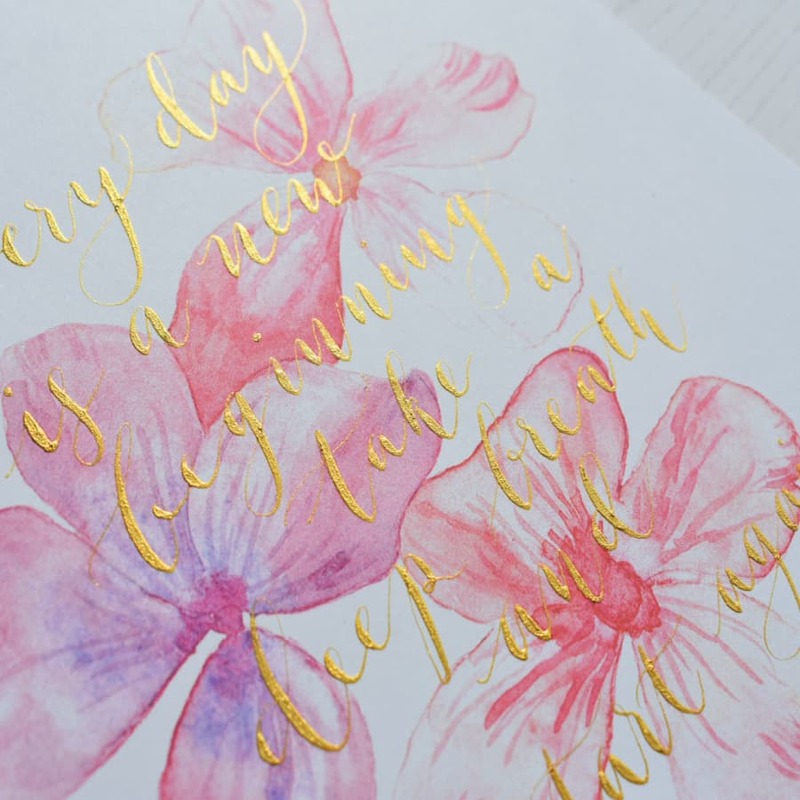 Want to take your modern calligraphy to the next level? Why not join one of my Improvers Calligraphy workshops to inject some sparkle into your lettering. Have you been on a Beginners Modern Calligraphy Workshop or been practising and want to take your modern calligraphy to the next level? 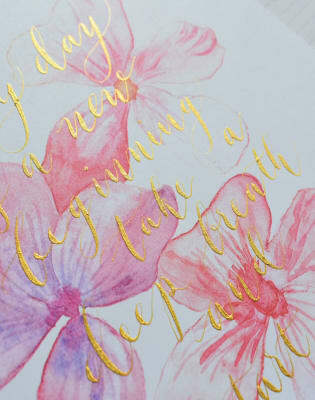 Why not join one of my Improvers Modern Calligraphy with Metallic Ink workshops. It's the perfect way to inject some shimmer and sparkle into your lettering and you will receive the best supplies to create some beautiful work. We will look at your own modern calligraphy style and talk about how you want to move it forward and develop more. Everyone will have the chance to talk about their calligraphy journey so far and ask me lots of questions! I invite you to bring examples of your work or talk about what you have created so far to help us explore next steps together. 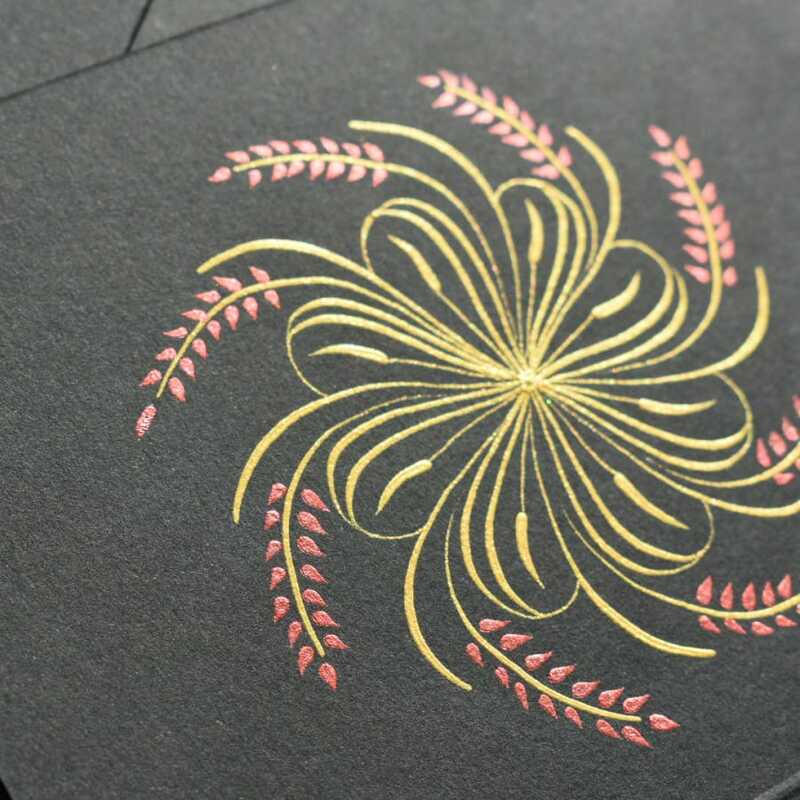 During the workshop you will learn the basics of pointed pen flourishing, mark-making and medallion designs. You will also learn how to write on different paper and card surfaces. You must be familiar with pointed pen calligraphy and the basic alphabet for this workshop as I will not be covering the basics. If you haven't had a go at modern calligraphy before I recommend you sign up to one of Beginners Modern Calligraphy Workshops first before booking the Improvers workshop. Please bring you modern calligraphy kit (pen holder, pointed nibs, black ink and layout paper). This workshop is 2.5 hours and maximum size is 4 people so there will be plenty of 1:1 time and opportunity to explore this creative skill. You must be familiar with pointed pen calligraphy and the basic alphabet for this workshop as I will not be covering the basics. If you haven't had a go at modern calligraphy before I recommend you sign up to one of Beginners Modern Calligraphy Workshops first before booking the Improvers workshop.Please bring you modern calligraphy kit (pen holder, pointed nibs, black ink and layout paper).